Today we received the wonderful news that we have won this award. 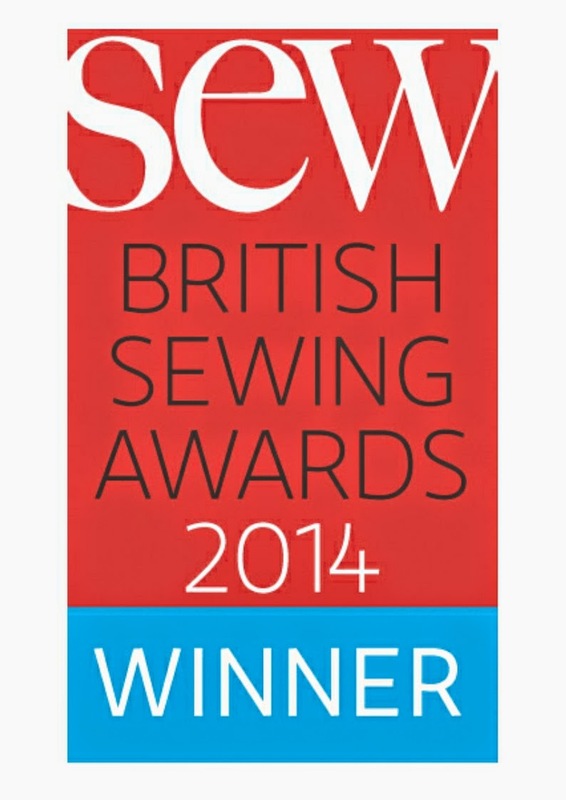 We have been voted Best Independent Retailer for Wales in the Sew Magazine British Sewing Awards 2014. To say that we are pleased is an understatement, we are ABSOLUTELY THRILLED !!!! The business means the world to all of us, which is why Sandra was determined to bring it back after the terrible fire in December 2013, I for one, am so glad she did as it has changed my life completely. I have met the most wonderful, talented, creative people who make every day a joy to go to work. Ann and I as the new partners in the business have huge boots to fill and the support from everyone has been fantastic, Sue and Sandra built such a wonderful business ethic, good old fashioned customer service, friendly atmosphere, a love of their craft to be shared with others, providing quality products, a fantastic workshop programme packed with inspirational classes to suit a wide variety of crafts. Busy Bees, I know, has been key to a lot of peoples lives and to be a part of that legacy is extremely rewarding. We would all like to thank you for voting for us, it means such a lot to us and for your continued support, it's not just our Busy Bees it's yours too! the "Hive of Inspiration" as Sandra so fondly calls it is back from the ashes and risen like the Phoenix! Thank you so much from all of us at Busy Bees Patchwork!